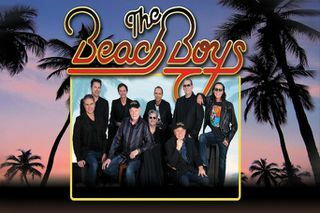 The Beach Boys return to London for two nights at the Royal Albert Hall in 2019. You can encapsulate most pop music acts by reciting how many hits they’ve had and how many millions of albums they’ve sold, but these conventional measurements fall short when you’re assessing the impact of The Beach Boys. The band have birthed a torrent of hit singles and sold albums by the tens of millions, but their greater significance lies in the fact that it changed the musical landscape so profoundly that every pop act since has been in its debt. The Beach Boys are led by Mike Love and Bruce Johnston, who, along with Jeffrey Foskett, Christian Love, Tim Bonhomme, John Cowsill, Keith Hubacher, Christian Love and Scott Totten continue the legacy of the iconic American band. The Beach Boys is not available for booking yet, please sign up to our newsletter to be the first to know when tickets become available.